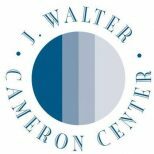 The J. Walter Cameron Center (JWCC) is a 501(c)(3) that offers affordable program and administrative space to seventeen nonprofit organizations that provide health, education and human services to about 30,000 Maui residents annually. Green Building Hawaii was brought in for energy auditing services to provide a detailed report on how JWCC can reduce operating costs through energy efficiency retrofits. The GBH team provided an in-depth investment grade lighting report and light mechanical audit for the entire property. In addition, GBH developed a financing package specifically designed for non-profits to help insure that the measures identified could be implemented. Based on the recommendations from the GBH report and a sample installation of LED lighting and controls, JWCC moved forward with installing LED lighting throughout the entire property. The operations and maintenance team is moving forward to analyze the HVAC system to ensure it is operating as designed and programmed to meet the needs of the tenants while conserving energy.